Happy New Year, Certified Farmers’ Markets! True, slightly belated but nonetheless sincere. Beyond the usual “out with the old, in with the new”-“turn the page”-“fresh start” platitudes and resolutions we were particularly excited to flip the calendar to 2018 for several historic reasons. First, the Palm Springs Cultural Center and the Palm Springs Certified Farmers’ Market location (formerly in FRONT of the Camelot – we outgrew that quickly…) celebrate 10 years of existence! A whole decade of California small farm produce and sustainable, locally produced artisan goods – can you believe it? In some ways I’m still that starry-eyed stay-at-home mom in 2008, grinning from ear-to-ear while waiting in the endless JF Farms line to buy broccoli. With more farms added through the years the choices expanded and the lines got more manageable, and we’re still at it – providing the Coachella Valley with meticulously curated fresh food options for everyone in the desert. With 5 locations (3 outdoors in the high season, 2 indoors in the summer) many more folks have CFM options in their own communities and don’t have to trek – soooo looong – to Palm Springs. Second, the iconic Palm Springs building we’ve been snuggled up against all this time is going through a transfer in ownership. Ric and Rozene Supple have generously donated the Camelot Theatres to the Palm Springs Cultural Center, the non-profit organization that oversees our Market events and 5 Film Festivals. With the Supples’ staggeringly generous gift, the PSCC now has a physical home to expand their programming, filling in the cultural spectrum and providing space to other local organizations looking to share their resources with the community as well. To that end, the PSCC welcomes one and all to a banquet (literally) of activities we’re calling “Open Doors Week.” January 20th kicks off 8 days of excitement with a rededication ceremony at 12 noon and introduction of our first Artist in Residence Eyoälha Baker. Through the week, check out a pop-up gallery featuring photos of the Camelot from days gone by, listen to PS Historical Society speaker Wil Kleindienst’s 1/23 “Let’s Talk” event about the La Plaza Shopping Center, catch film screenings like “Xanadu” from Among Friends (with pre-show disco!) on 1/24 and Alfred Hitchcock’s “Marnie” (featuring a guest appearance and Q & A by star Tippi Hedren!) on 1/27. 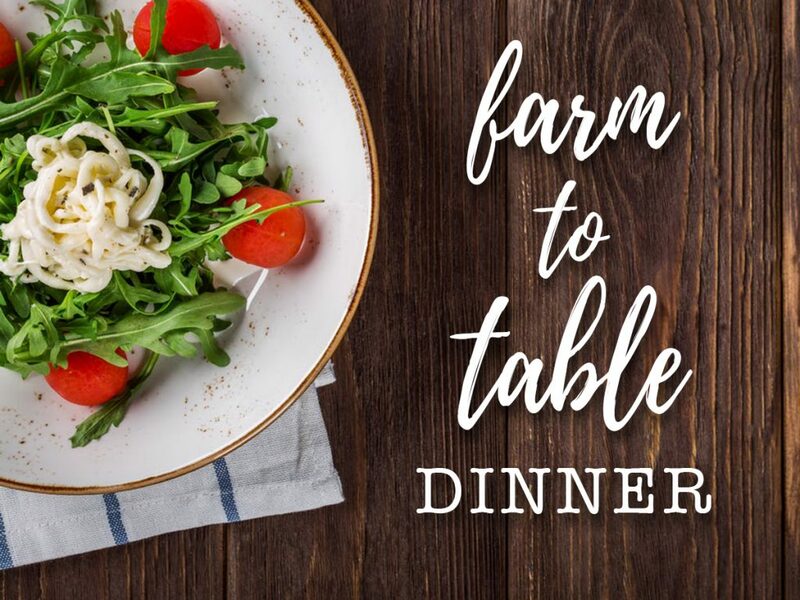 Finally, as the delicious bookend to this incredible week of cultural splendor, on 1/28 we offer a Winter Harvest Farm-to-Table Dinner shared long table style on the stage of the Historic Theatre #1 at the Camelot. Sourced from the farmers you love and prepared by three of our favorite Market-devoted local chefs (Rob Wepplo, Amanda Nees and Stephen Lee) this six course dinner, served with Chacewater and Terra Salvia Wines, celebrates our belief that the cultural arts and food culture are not only interrelated, but also critical to the vitality, collective consciousness and sustainability of the community. More details about the dinner will follow, but if you’re already excited, tickets can be purchased here. Be aware that seating is limited and tickets are likely to be…gobbled up.